Peugeot has been in the business of making precision grinders since 1892, long before it started manufacturing automobiles. While smaller in scale, Chatel Salt and Pepper Grinders are no less impressive with respect to their superior engineering and craftsmanship, meticulously designed to extract maximum flavor while also looking fabulous on your tabletop. 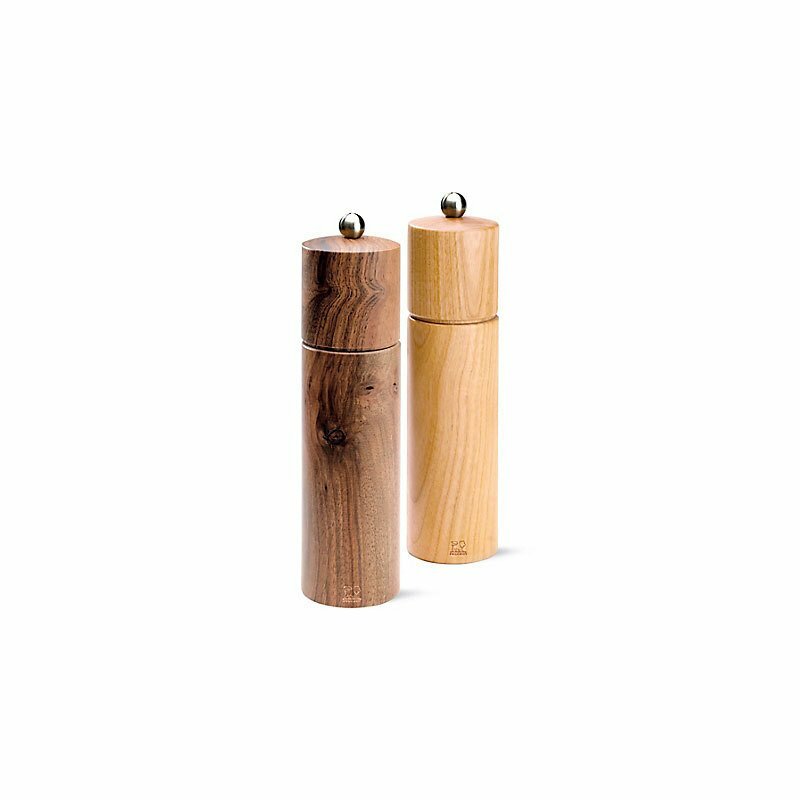 The salt grinder has a stainless steel mechanism to resist corrosion, and the pepper grinder has a case-hardened steel mechanism that cracks and then grinds for even seasoning. Each grinder is filled and tested by hand prior to shipping. Just turn the knob on top to adjust from coarse to fine grind. Made in France.